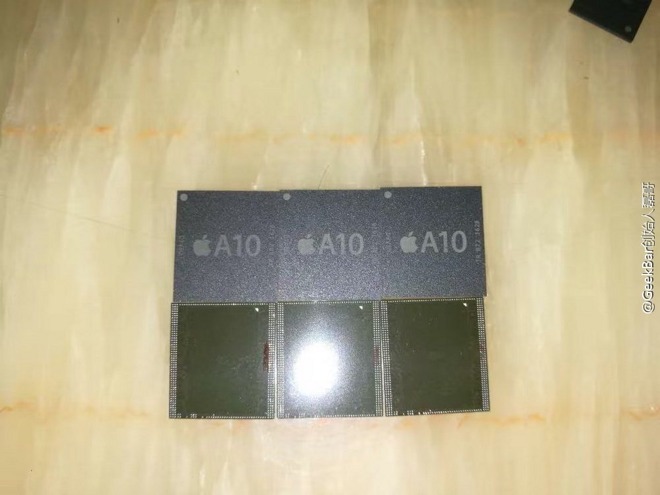 With the announcement of Apple's next-generation iPhone said to be less than a month away, suppliers are undoubtedly gearing up for a massive product launch, and new pictures claim to show the "A10" chip that could power the "iPhone 7." The image from Chinese microblogging site Sina Weibo was first discovered on Wednesday by Techtastic.nl. The same social media account has shared leaks in the past, including a purported "iPhone 7" running Apple test software. Of course, the picture should be taken with a grain of salt, as such images could be easily created or manipulated. Still, with the next iPhone rumored to be unveiled at a media event on Sept. 7, the timing of hardware leaks for a crucial component would make sense. 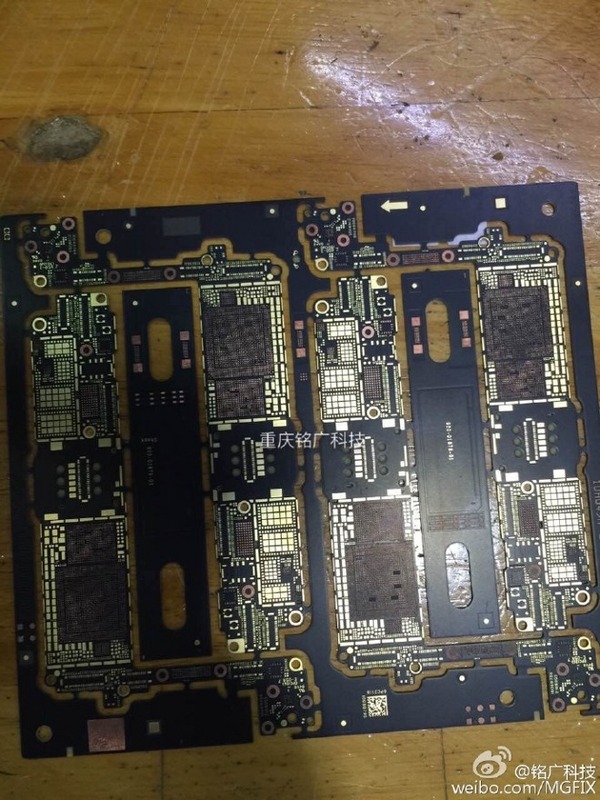 In addition, earlier this week, alleged "iPhone 7" logic boards also appeared on Sina Weibo. They included an empty slot for a presumed "A10" processor, but lacked any actual chips on the board. As such it's impossible to tell whether the images show an "iPhone 7" board, or something else entirely. The deluge of leaks is also a field day for fakers, who successfully tricked some publications earlier this week with a series of bogus "A10" Geekbench tests. To date, no potentially authentic benchmarks have been spotted in the wild. Apple's silicon partner Taiwan Semiconductor Manufacturing Co. is rumored to be the sole manufacturer of the "A10" that is expected to power Apple's 2016 iPhone upgrade. Reports have suggested the new processor could pack in 3 gigabytes of RAM for the larger 5.5-inch model, aiding performance of the larger screen and rumored high-resolution dual-lens camera system. As for the rest of the handset, the so-called "iPhone 7" is rumored to ditch the legacy 3.5-millimeter headphone jack, opting instead for Bluetooth headsets or headphones connected through the Lightning port. It's also rumored that the home button will no longer move, instead providing haptic feedback that will simulate the sensation of a click.